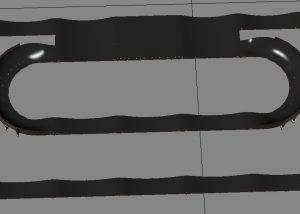 SBSX Race Tracks were born from pumptracks which are a series of bumps and turns that help you keep your momentum without having to push. It's the ultimate workout and Super FUN! Now that Skateboarding is an Olympic Sport, SBSX wants kids to progress and experience the entire sport of Skateboarding. 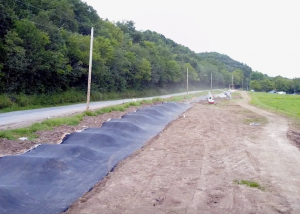 Whether it is Pumptracks, Pushing/LDP, Transition, Street, or Park, we can help you find the right design and the right company to build it for you. 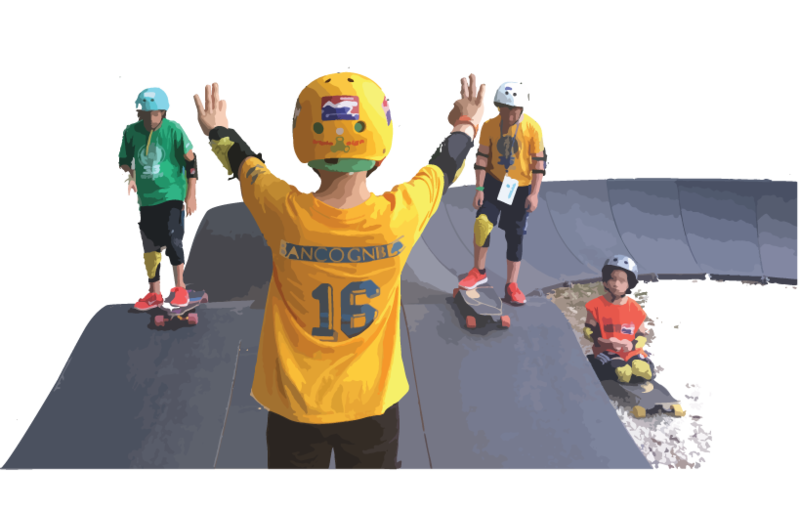 For Children age 4 and Up, we have developed a curriculum that can help you progress within the sport of skateboarding. We like to call it Zero to HERO! Not only is after school programming important, time off from school means time to Skate, we have developed an amazing curriculum for kids to be involved with our Day and Week Camps/Clinics. STOKED! As more and more parks are built worldwide, get ready for racing: time trial, head to head, and 4 person heats will be the formats. 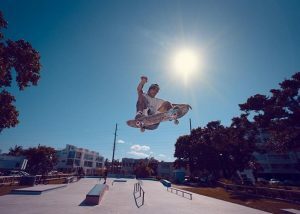 You can also expect to see some high profile skaters at your home location! If your brand needs to feature some content at one of our state of the art locations built by any of our recommended skatepark builders, make sure you call us to inquire about reserving the space exclusively. We can also help you get featured riders for it. 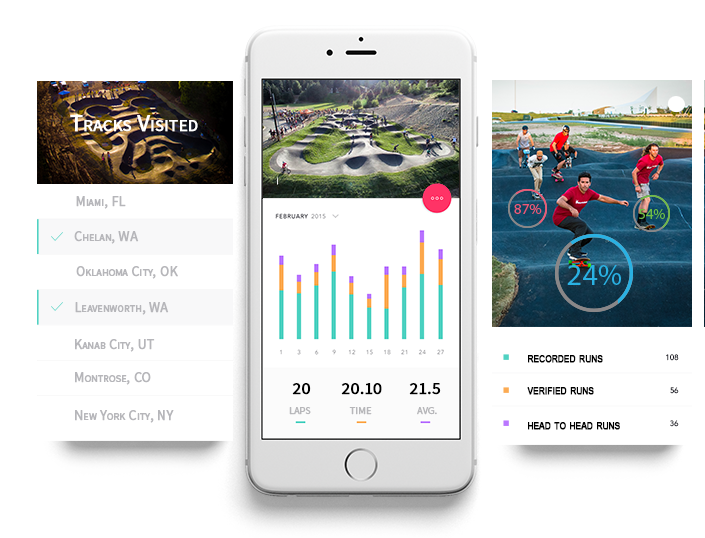 We are developing a mobile app that will gain you access to race or compete at all of our certified parks. Engage with those that have already been there or are about to arrive. Set a challenge or remind yourself how good you can be! By engaging with the app to enroll in a contest/race or purchase the latest goods, help us create an SBSX world ranking to drive friendships and competition in the future. Share your setup so that others can follow. We collaborate and help design parks worldwide. 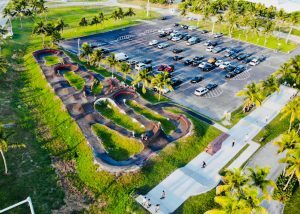 We have a network of preferred Skatepark and Bike Park builders that can help make you an official certified SBSX Park that we can then help implement our curriculum and watch your community grow. Skateboard Supercross has created a platform to learn how to skate and bike via a cutting edge curriculum at our SBSX academies, where students can learn the basics and progress to expert levels: Zero to Hero. If you do not need instruction, SBSX also schedules Time Trials and special events year round to allow skateboarders (even longboarders), and bikers to compete against each other. If you don’t know how to skate or bike and want to join the fun, time trials events set aside time for scooters, and inline skates to join in on the action. The Curriculum is an 18 week program that allows students to progress in their preferred sport. 5 Levels of progress have been developed in a progression based atmosphere where students are categorized as beginners. Once they meet a time commitment and skill set, they advance. If that is not enough, camps and clinics will happen when school’s out. Stay tuned for our awesome summer camp experience at Oleta River State Park in Miami, FL. 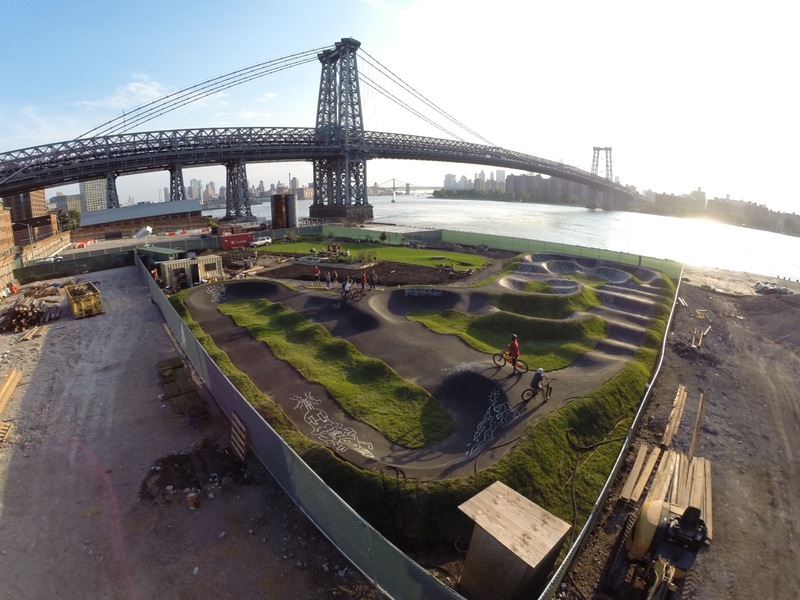 SBSX is designing a state of the art mobile app that will allow pumptrack goers an opportunity to race virtually in preparation for larger scale events. Via a simple scale and measure of all pumptracks worldwide, we will allow for connectivity via a mobile phone so that participants of all wheeled sports can race each other virtually. This will develop a world ranking so that we can host large scale competition at the different venues already built. Whether public, private, indoor, or outdoor, all pumptracks will be geo-tracked and ready for racing by 2018. IT’S TIME TO GET STOKED! The Fastest Growing Industry in Entertainment! The SBSX Family Lifestyle Center (FLC) is an integral part of the vision of founder Jonathan Strauss. As a recognized industry leader, the vision is to stimulate the growth of active lifestyle sports and turning them in to multi-faceted facilities for competitive, recreational, and educational uses. The FLC concept can now provide all of this and help generate endless revenue at a location, either indoor or outdoor. 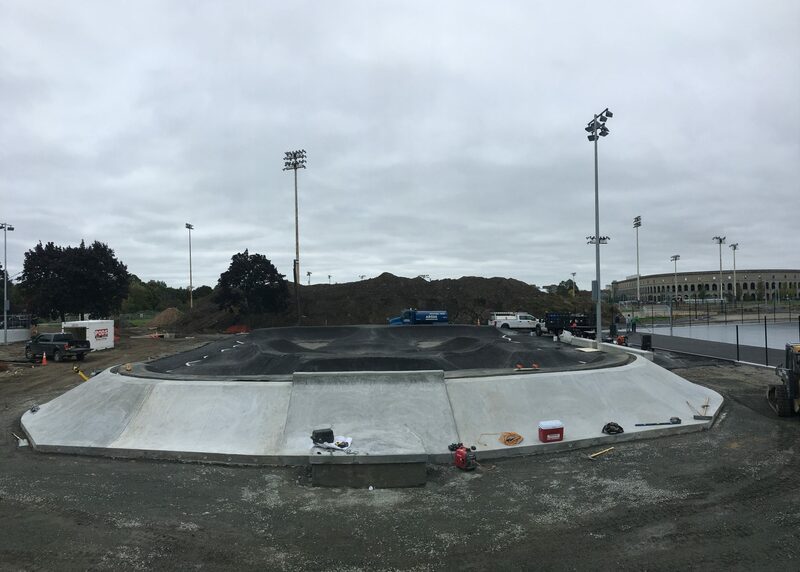 The SBSX pumptrack, designed by some of the top skate park and bike park designers, will be the central focus point of the facility. 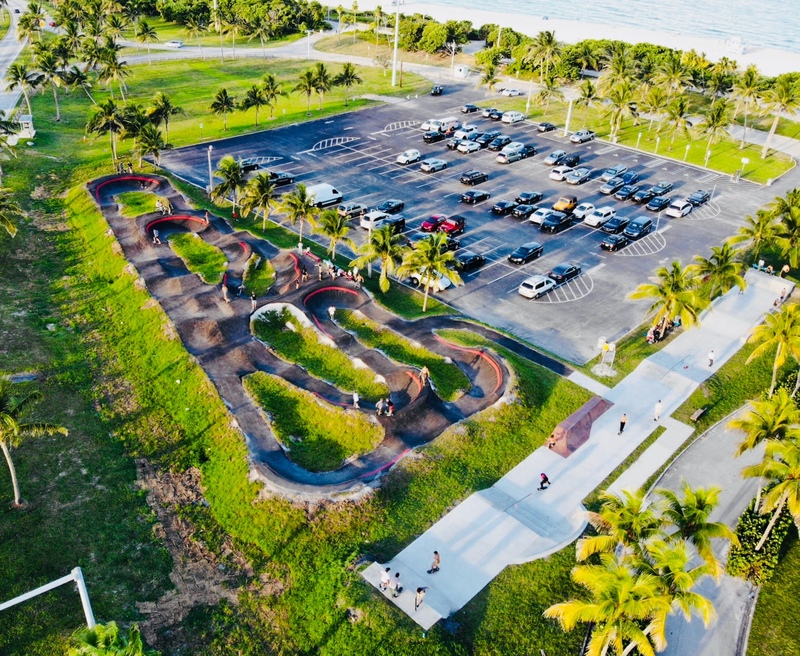 The pumptrack will be surrounded by retail sales of related goods and services, as well as other special amenities that can attract and capture families for extended periods of time. There will be a programming component that will provide after school education, camps when school is out and clinic year round. If education is not an option, recreational events such as birthday parties and/or team building activities will be offered. 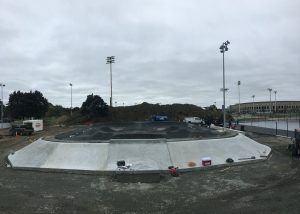 In addition, expect to see a Skatepark, Foam Pits, Balance Training Areas, other amenities that relate to the sport, and Food Concessions.